Calling all teachers! Are you looking for new ways to get creative in the classroom? In today’s age of the selfie, students of all ages surely will enjoy exploring with instax, and we’ve got some fun ways you can put those photos to use. 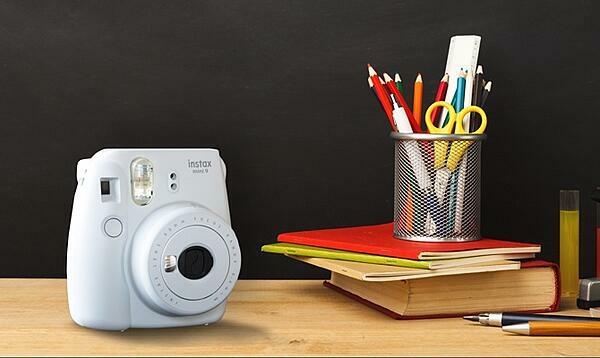 Try these fun uses for instax in the classroom. For your young students who aren’t quite ready for lockers, tell them to smile big on their first day and use the photo to mark each student’s cubbie. This can be a fun icebreaker for new or shy students, and can get the school year off to an exciting start to have their name and a picture marking where they will keep their things. Taking your daily roll call can become a fun, interactive part of each morning with instax. Take another picture of each student (maybe you’ll make your first day a photo shoot!) and create a chart you can use for attendance each day. This one would be good to hang in plain sight. Create a chart that ranges from green (good) to red (bad), with yellow and orange in between for warnings. Take a photo of each student and attach to a clothespin so you can easily move students through the chart as needed. Make seating fun! This one is simple: Take a photo of each child at orientation then attach it to their desk. The kids will have fun finding themselves on the first day. An added dose of fun: Let your students decorate their photos with stickers, fun frames or other accessories to make their personalities stand out. Have a photo of each student on hand. When selecting groups for projects or classroom activities, turn each photo face down and then choose at random to make your group assignments. Besides taking photos of the students, there are many other fun uses for instax around your classroom. Take pictures with the class pet, track the growth of plants in science class and capture the magic throughout the school year of your class participating in different activities. Make it a group effort by taking the time to let all your students put these pictures together in a fun arrangement before Parent Night, as a creative way to show parents what life in your class is like. And as always, be sure to have consent to use photos of students by consulting with your school’s media policy. With so many individual student photos left at the end of the year, why not let them make a scrapbook of their school year in review? Take one last photo of them on the last day of class and watch them marvel at how much they’ve changed since the beginning of the year. For tips on crafting the perfect end of school year scrapbook, check out our eBook, Show Off Your School Year Memories with instax.